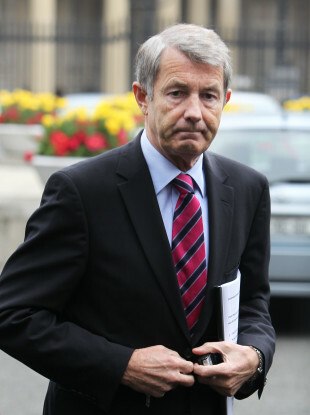 The woman was in Independent TD Michael Lowry’s home when Revenue officers raided it, a jury has heard. A WOMAN WHO was in Independent TD Michael Lowry’s home when Revenue officers raided it was “startled” and feared she was going to be killed by burglars, a jury has heard. Shelia Hanley, an inspector of taxes, searched Lowry’s home on 23 July 2013 on foot of a search warrant, Dublin Circuit Criminal Court was told. She rejected the suggestion that the woman, who was unaware officers had entered the house, was crying and saying “Please don’t kill me”. “Certainly not,” Hanley said, before accepting that if the woman had said this, it was never reported to her. She agreed that the woman had been “startled”. She agreed that Lowry’s clothes were searched but couldn’t confirm if his underpants had been, although she acknowledged that her colleagues would have searched all drawers, including ones in the bedrooms. She agreed that she and her colleagues were allowed into the gated premises by a tradesman who had been servicing the boiler. She said she rang the doorbell a number of times but there was no answer. A garda, who was there with her, gave her Lowry’s mobile number and she called it but there was no reply. She accepted a suggestion from O’Higgins that if they had not found an open door, she would have made “more strenuous efforts to contact him (Lowry)”. She added she was not under any obligation to wait for Lowry as the warrant entitled her to enter the house and use force if necessary. Hanley also accepted that an officer was probably searching through the cutlery drawer, adding “People keep documents in drawers”. She acknowledged that a “small sheaf” of documents had been recovered from the house and accepted they were “not of evidential value”. It is the State’s case that Lowry’s company, Garuda Ltd, received £248,624 (€372,000) in commission from Norpe OY, a refrigeration company based in Finland, in August 2002. It is alleged that Lowry arranged for this payment to be made to a third party, residing in the Isle of Man, and therefore it didn’t appear in the company accounts for that year, nor did he declare it as income. Lowry (64) of Glenreigh, Holycross, Co. Tipperary, has pleaded not guilty at Dublin Circuit Criminal Court to four charges of filing incorrect tax returns on dates between August 2002 and August 2007 in relation to a sum of £248,624 received by his company, Garuda Ltd and one charge in relation to failing to keep a proper set of accounts on dates between 28 August 2002 and 3 August 2007. The trial continues before Judge Martin Nolan and a jury of eight men and three women. Email “Woman 'feared she was going to be killed by burglars' as tax inspectors searched TD's house”. Feedback on “Woman 'feared she was going to be killed by burglars' as tax inspectors searched TD's house”.